Translation management software is truly is one of the best productivity tools out there for language translation. It offers users and professional translators the chance to improve the quality of their language translation while providing organizations with a secure online solution that reduces costs and the amount of time and energy it takes to produce translations. But before you invest in software to manage your translations, you should know exactly what to look for. This way, you get it right the first time instead of discovering later on that it doesn’t tick all the boxes for your organization. Can you imagine deploying software for your organization, training all your employees on it and then realizing it’s not the right fit? We’re here to help you prevent that from happening with this list of 13 translation management software features you need. One of the best translation management software features to look for is web-based access. This way, it doesn’t matter if your users prefer Windows, Apple or Android computers (or their mobile devices). With web-based access, your users can access the full functionality of the software and documents they need from a centralized hub. Everyone involved should be able to work from the latest version of translations and source files in one place. What’s more, having web-accessible translation management software will make it possible to access your translations on the go. Access via web browser means you can use the software on your smartphone, tablet, or desktop. One of the hottest issues in technology in 2018 has been online security. Don’t be the organization that doesn’t evaluate its translation software in the same way it evaluates other systems for data security. Translation systems hold a massive amount of data, including personal information, which could be a goldmine to a hacker. If your translation management software doesn’t include the language pairs you will work with, then what’s the point? If you’re not familiar with language pairs, they’re basically two languages that you will be translating to and from. So for instance, if you need to translate English (US) to French (France) and French (France) to English (US), you need to make sure you see the language pair EN (US) > FR (France), as well as FR (France) > EN (US). This particular example is important because if you need Canadian French and British English, you would need to make sure the software specifically denotes that. Take inventory of the language pairs your organization currently uses and might use in the future. If your organization plans to expand its global presence, it would be helpful to know that information ahead of time to plan your language pairs. Secure gisting is also very important in translation management software. Why? There will be times where you just need to quickly copy and paste text from an email or chat to get the “gist” of a conversation. To get the best gisting results, the features to look for include; confidentiality, a no-return policy and Dynamic Machine Learning. The platform you choose should not only include a file translator, it should also include a copy-and-paste translation tool for gisting. If the translation management software you’re deciding on isn’t compatible with the file types your organization uses on a daily basis, you should look elsewhere. You should take inventory of all the different types of files your organization produces (and might produce in the future) and make sure the software you commit to has compatibility with those file types. File translation may be the bulk of your translations, so you want to make sure this feature is as flexible as possible. Translation management software is supposed to make your workday easier, not create extra work for you. This is why it’s important to look for automatic file formatting before you invest in any solution. The reason for this is that many translation tools will spit out a translated file that doesn’t look similar in appearance to the source file. The layout, font and spacing might be completely different than what you originally uploaded. Choose a system that has automatic file formatting and you won’t need to spend hours re-formatting the file in order to make it match the original. Before you shop for translation management software, take note that there will be circumstances in which you have a group of related files that would benefit you to process them for translation in one batch. This means being able to upload multiple files at once, regardless of file type, and produce first-draft translations for them. This should be a quick and easy process. Batch translation is not only for efficient uploading and processing. It also can mean that software with Dynamic Machine Learning will take the edits you make to the first-draft-translated segments in those files and automatically apply them across entire the batch of files. This improves the translation quality and process for batched files. Another importation feature you should look for in translation management software are features that support teamwork and real-time collaboration. We live in a world where increasingly we need to be able to work remotely with other employees and contract workers. So it’s important to look for the ability to work in real-time together or easily share translations and request editing from within the user interface. You should also seek out software that gives you translation edit history. This way, you can keep track of what changes are made and who contributed them. Storing edited translations in a Translation Memory will help you reduce the amount of time and effort needed to produce translations and improve quality. Look for translation management software that provides your users with an easy-to-use user interface so you don’t spend an enormous amount of time training your users. 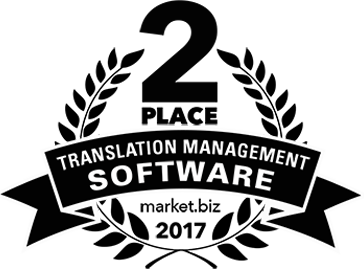 The best translation management software will use your Translation Memories to improve the quality of it’s machine translation engines. Today’s best translation management software solutions are powered by AI. Dynamic Machine Learning is an artificial intelligence technology that allows you to edit multiple files simultaneously, thereby reducing the amount of time you spend translating. When you look for translation management software, you shouldn’t settle for a platform that doesn’t include this technology. Every machine translation software platform requires training in order to provide the highest-quality translations possible. Dynamic Machine Learning trains your machine translation engine, as more and more users edit translations you’ll see impressive continuous quality improvements in your translations. The more you train the software, the less machine-translated content you need to edit in the future. This helps you cut costs and save time in the short and long run. If you want your text proofread for spelling like a word processor does, choose translation management software with a built-in spellchecker. Enough said! 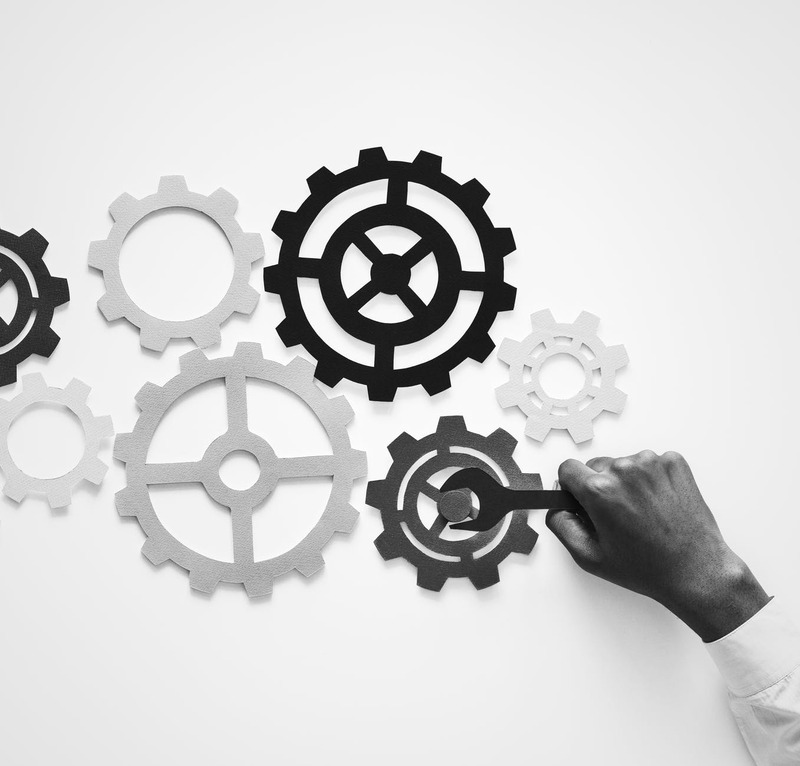 If you foresee your company benefiting from linking your translation management software with another system you use (such as a Content Management System), make sure the software you choose has the option for you to access its API. 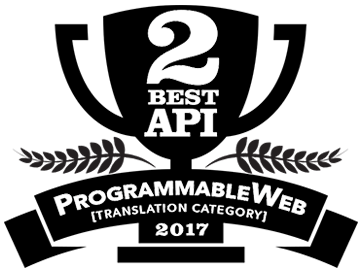 The best translation API’s provide more functionality than just delivering raw machine translation. For the best translation quality, you’ll want an API that allows you to distribute previous translations stored in a Translation Memories to your organization’s enterprise applications. Any company that provides premium translation management system should offer customer support that allows you to speak to a live agent. You’ll need a company that will troubleshoot problematic files and onboard users. If you’re unsure if the software you’re considering offers live human support, contact the company for clarification. At Pairaphrase, we developed the all-around best translation management software available today. We’re hyper-focused on ease-of-use combined with the powerful technology you need to get smart, safe and fast translation. With multiple plans available to support your organization’s specific needs, we’re here with you as your organization grows. Not to mention Pairaphrase includes all of the 13 features we list above, plus more. Try Pairaphrase today or request a free demo.